The World in the Satin Bag: Reader Question: Have you ever been squirrel fishing and, if so, how much did you enjoy it? Reader Question: Have you ever been squirrel fishing and, if so, how much did you enjoy it? Once again someone has asked me a very intriguing question on Formspring, which I intend to answer here. I must admit that I have not been squirrel fishing before, but I have managed to actively participate in the next best thing. You see, many years ago, I was part of MARTI (that is, Mankind Against the Regional Tamias Invasion). Our purpose was, essentially, to keep at bay the impending enslavement of mankind by chipmunks, something they had been planning for centuries. They were so patient and diligent at making this goal a reality that they had managed to pull most of the rodent population under their command, with the exception of the rats--who were smart enough to realize that humanity had basically made it possible for them to survive the Darvasti Plague of 443 R.C.P. (rodent century prime; roughly 25,000 B.C.E. in human years). But the chipmunks had a lot of power and influence. You might be shocked to learn that most human wars were actually fought over chipmunks, and not the various other things that have been cited. Unfortunately, chipmunks have so infected the historical database by buying off historians that it is impossible to tell the difference between fiction and reality anymore. On top of this, the chipmunks were excellent stockpilers, having learned just about every trick from their ancestors--and their cousins, the squirrels (even a few tricks were picked up from the marsupials, who, oddly enough, never joined the chipmunks, but did try to wage their own war against the mice over recent invasions of the Australian mainland). The chipmunks knew how to hide a full-sized tank right under your nose and they had mountains and mountains of weapons. They'd even discovered how to manipulate human brains, which resulted in a few dozen human males under the direct authority of Chhtchkttch Grtchtkhk, the then dictator of the Chipmunk Empire. The plan ended in disaster for them, but that's another story. 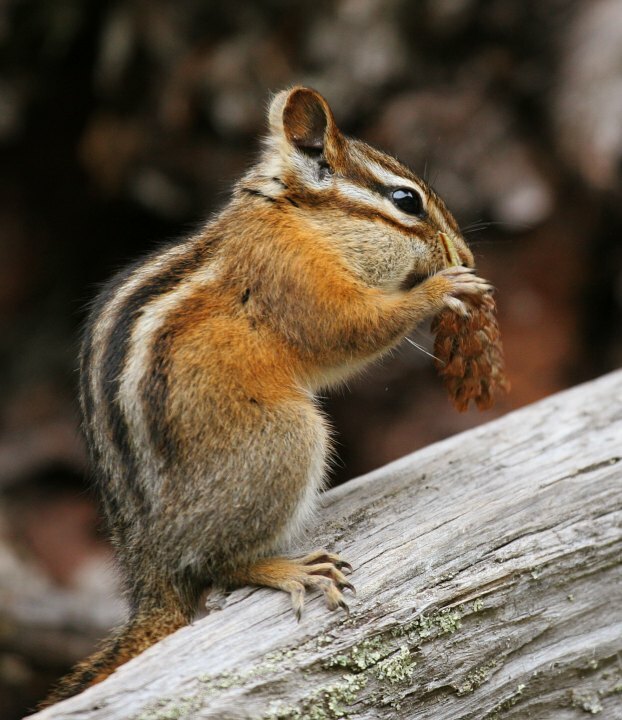 That said, when I was active in MARTI, I had the opportunity to go chipmunk fishing, which is a very strange practice where a nut or a piece of very thick break is jammed over a hook, hiding it within, and then dropped down a hole via a line attached to a reeling machine. 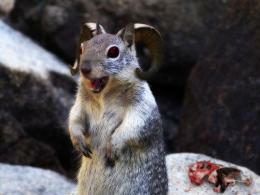 When the chipmunk bites down and tries to run off with the bait, the machine is turned on, which jams the hook into the chipmunk's mouth and drags the little beast at about forty-five miles per hour out of the hole. They are typically caught by another person who wears a very large catcher's mitt. This whole process is then repeated. On a good night, we caught forty-seven. If anyone intends to go chipmunk fishing in the future, feel free to send me an email asking for some tips. Not many people can do it well and it does take a lot of practice. Now I'm going to throw the question to you. Have you ever been squirrel fishing?